The global aviation industry has taken leadership on climate change, with a robust plan to reduce emissions based on a comprehensive set of goals. After 2020, technological, infrastructure, and operational efficiency measures will be complemented by the ICAO Carbon Offsetting and Reduction Scheme for International Aviation – better known as “CORSIA”. The CORSIA will help industry meet its goal of carbon neutral growth from 2020 in support of the Business Aviation Commitment on Climate Change. 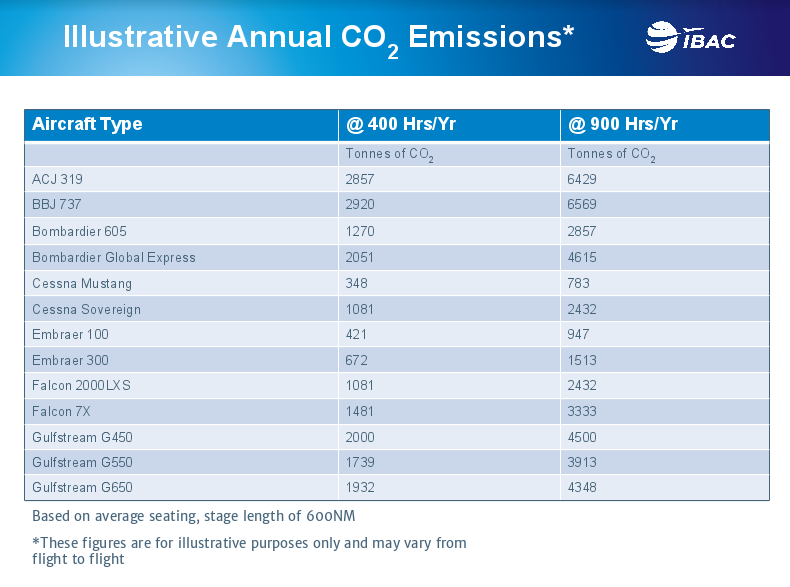 Basically, aircraft operators whose operations are covered will offset the growth in their carbon emissions in international flying on an annual basis from a 2020 baseline (i.e., the difference between the emissions of 2020 and those of subsequent years). The ICAO Standards and Recommended Practices (SARPs) spelling out CORSIA requirements are currently under development, but general outlines are known, particularly whether an operator is covered. Humanitarian flights (e.g., medical, disaster relief, fire fighting). The illustrative table below could help you have a general idea of the degree to which your operations may be covered. Another useful measure to consider is that 10,000 tonnes of CO2 emissions are roughly equivalent to one million U.S. gallons or 4 million liters of fuel. If you’re unsure about whether you’re covered or have further questions, please email us at corsia@ibac.org. As further details about CORSIA become clear and available, we will update this page. We will also push updates to operators who sign up to our email list by contacting corsia@ibac.org. In the meantime, please review this checklist intended to help potentially covered operators prepare for CORSIA.